Speaking. Dr. Balter is available to speak at your organization. He has addressed numerous corporate audiences, educational and community groups, as well as professional associations on matters of parenting, child development, and psychology. Spokesperson. Dr. Balter has provided spokesperson services for many corporate clients. These include media tours, video news releases, and satellite media tours. Media Coach. 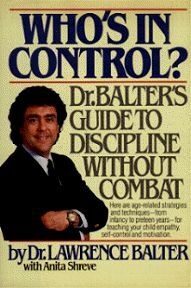 Dr. Balter trains professionals for appearances in the media. If you are an attorney, physician, psychologist, or a CEO who is interviewed by the press or appears on TV, you need to know how best to present yourself and to be sure your points are made clearly and efficiently. Media training is a must! Consultant. Dr. Balter has provided expert consultation to TV production companies and toy manufacturers, and on matters of child psychology and child development. 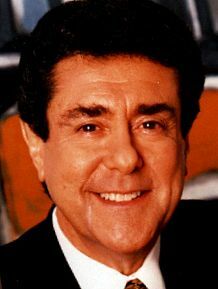 Television Host and On-Air Commentator. Dr. Balter has extensive experience as a feature reporter at ABC TV, NBC TV, CBS TV and can host magazine format, reality and news format productions. Dr. Balter was honored with an Emmy Nomination for his work with WABC's Eyewitness News Magazine.